MVP under challenge by Appalmad, et al. The West Virginia Department of Environmental Protection has denied an environmental group’s hearing request to appeal the state’s water quality certification for the Mountain Valley Pipeline. In a short letter sent to citizens and the nonprofit environmental organization Appalachian Mountain Advocates last week, WVDEP Secretary Austin Caperton denied the hearing under state law, which gives him, rather than a regulatory board, discretion over the matter. The agency issued the pipeline’s Section 401 Water Quality Certification in March after three public hearings on the project across the state. The Federal Energy Regulatory Commission last month delayed the project’s final environmental impact statement to June 23 to consider more information, and other state permits are still pending. Opponents of the pipeline appealed the water quality certification claiming the agency did not have enough information to issue it. The 300-mile pipeline would originate in Wetzel County, WV, and move up to 2 million Dth/d of Marcellus and Utica shale gas to an interconnect with the Transcontinental Gas Pipe Line in Pittsylvania County, VA, for delivery to the Mid-Atlantic and Southeast. It is expected to be in-service by 4Q2018. The project is a joint venture of EQT Midstream Partners LP, NextEra US Gas Assets LLC, Con Edison Transmission Inc., WGL Midstream and RGC Midstream LLC. Caperton, who was appointed by Democratic Gov. Jim Justice after he took office earlier this year, has faced criticism from environmental groups. Prior to his appointment he worked as a consultant for the coal industry and moved quickly to fire the agency’s environmental advocate, Wendy Radcliff, and to hire as her replacement Ed Maguire II. Justice, who was a businessman and coal baron before taking office, has expressed strong support for the oil and gas industry and its role in helping the state economy he’s been intently focused on reviving. Caperton didn’t explain why he denied the hearing request, and the agency has not commented. But the project’s opponents have told local news media that they will likely appeal his decision to the U.S. Court of Appeals for the Fourth Circuit. State water quality certification is required by the U.S. Clean Water Act (CWA) and is needed when any project affects state waters. Environmental advocates have increasingly focused on state-issued CWA permits as a new way to stymie pipeline construction. In nearby Pennsylvania, Energy Transfer Partners LP began constructing the Mariner East 2 pipeline in February after receiving CWA and other state approvals. An appeal of those permits filed by the Clean Air Council, Delaware Riverkeeper Network and the Mountain Watershed Association is pending before the state Environmental Hearing Board. Meanwhile, both the Northern Access expansion project and Constitution Pipeline are on hold as their sponsors fight New York state’s denial of CWA permits in federal court. Karst geology experts have strongly condemned Mountain Valley Pipeline’s Draft Environmental Impact submittals to the Federal Energy Regulatory Commission regarding pipeline construction in sensitive karst terrain. 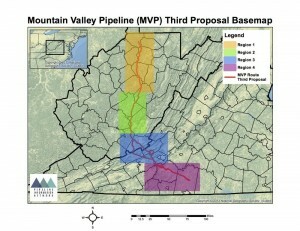 A 14 page rebuttal, prepared by Ernst Kastning and submitted on behalf of the Virginia Chapter of the Sierra Club by Appalachian Mountain Advocates attorneys Benjamin Luckett and Joseph Lovett, describes the risks to Southwest Virginia and West Virginia communities from pipeline construction. 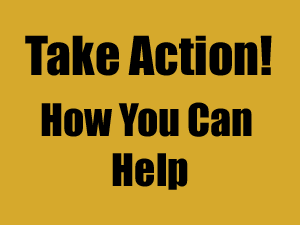 Damage would include groundwater contamination, groundwater recharge, surface collapse and other dangerous consequences of building a massive infrastructure project in a seismic area populated with caves and sinkholes.